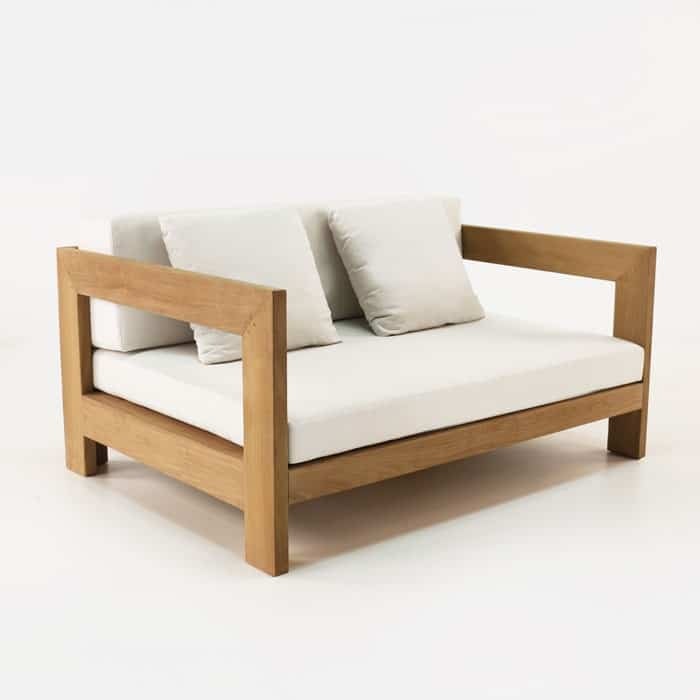 Sleek, armless, and incredibly versatile; the Amalfi Centre Armless Chair can be infused into the Corner and Daybed collection pieces to create a grand and substantial seating arrangement. 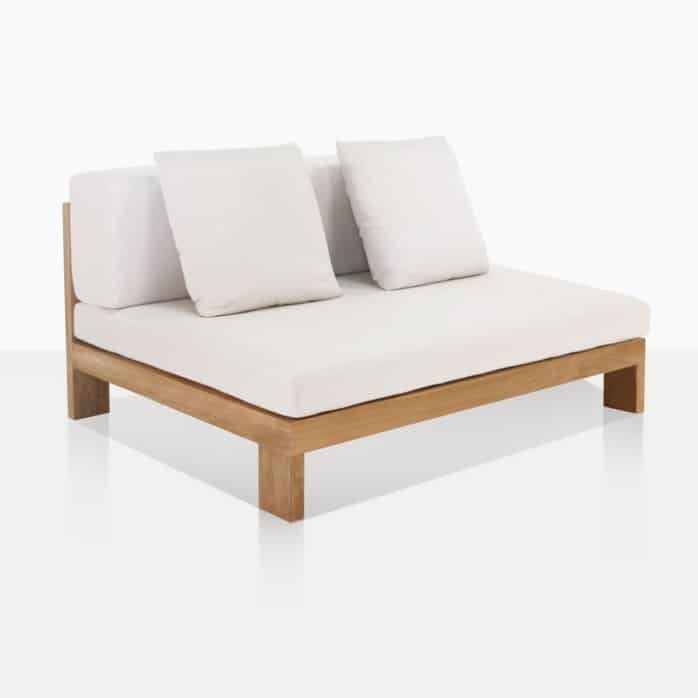 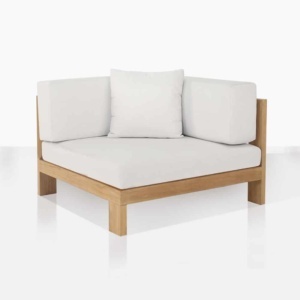 Or set on its own for a sweet and simple loveseat, and you can add the ottoman to create a gorgeous two person sunbed – perfect for those lazy Sunday afternoons. 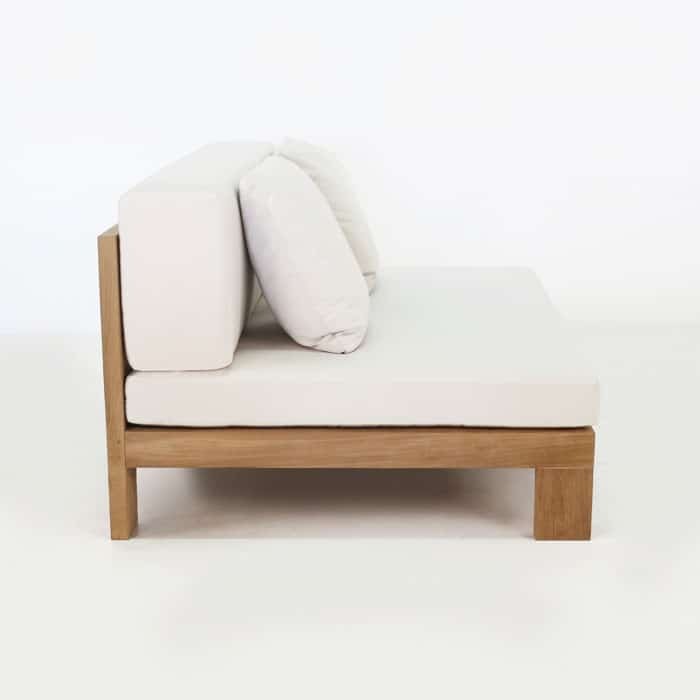 The Amalfi Centre Armless Chair incorporates Grade-A Teak, marine quality epoxy glues and stainless steel fittings with thick Sunbrella® cushions of exceptional quality that ensures a long lasting piece that you will enjoy for years to come. 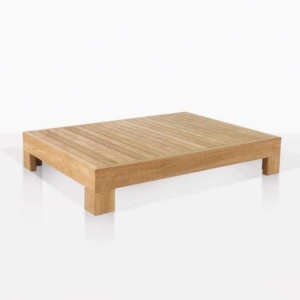 Thinking of filling a large space? 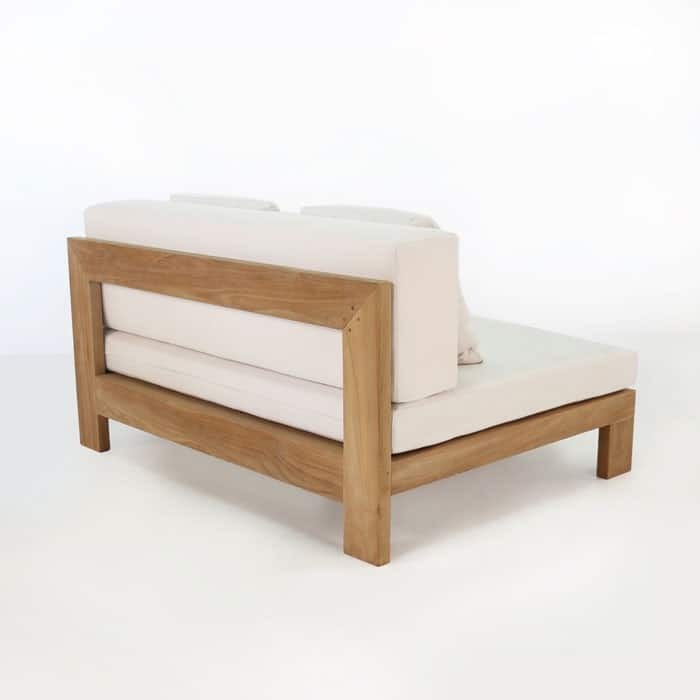 Why not team up several Amalfi Centres together to create a long, sumptuous and satisfying sofa. 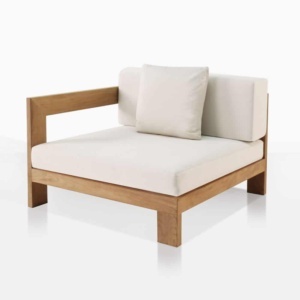 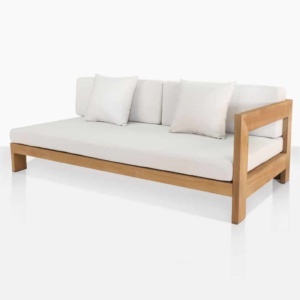 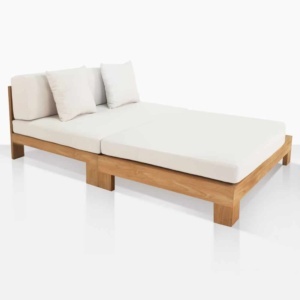 Or slide in a Daybed to either end for the addition of armrests and an overall striking look. The Sunbrella® cushions – free with your purchase – are all weather resistant with Quick Dry foam, easy to clean and available in a range of stunning, classic colours. 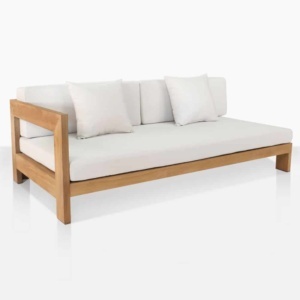 Choose from Taupe and Canvas to illuminate and complement your outdoor space. 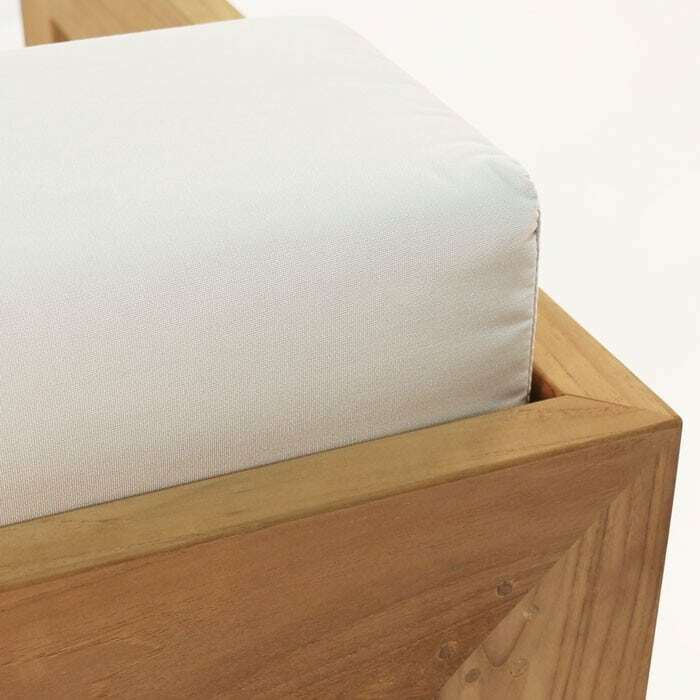 Design Warehouse also offers two free throw cushions with this piece, adding to your overall comfort and creating a welcoming space that you’ll be proud to entertain in.